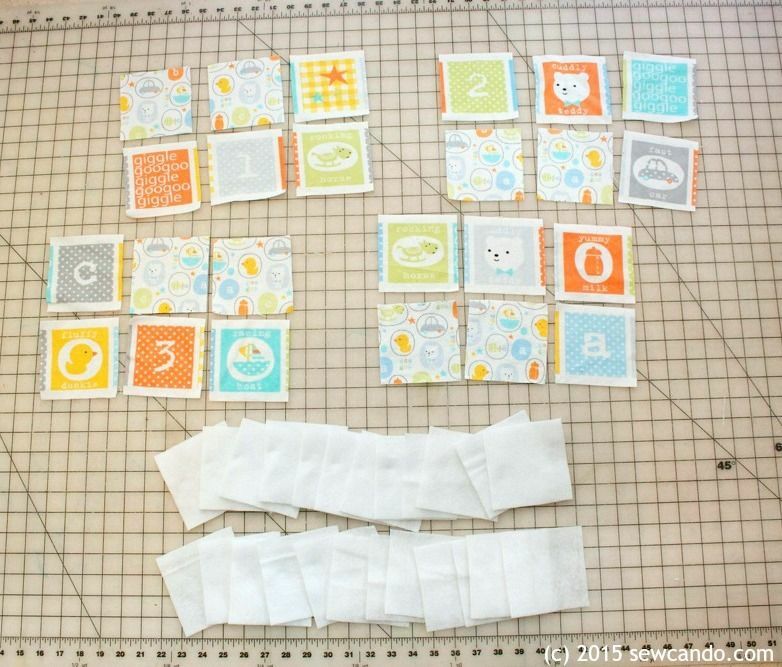 Please welcome Cheryl from SewCanDo to SewTimeless today! 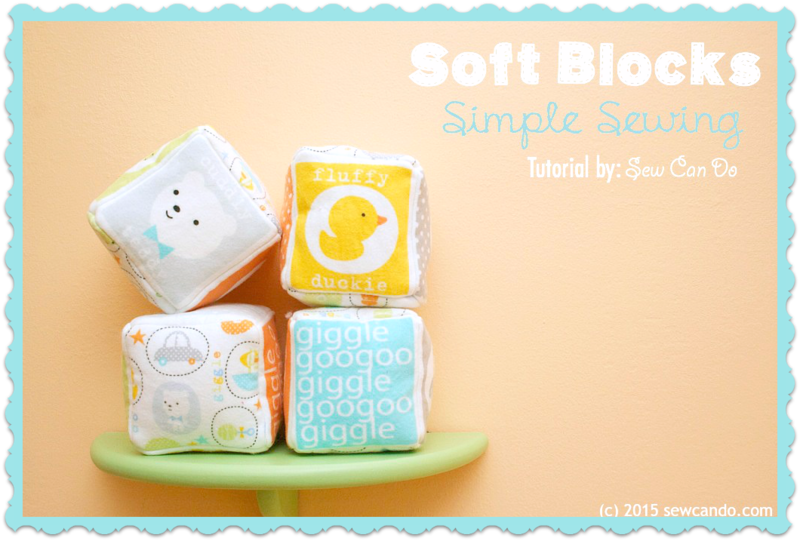 She’s using our sweet baby flannels to make soft, squishable blocks for tots. 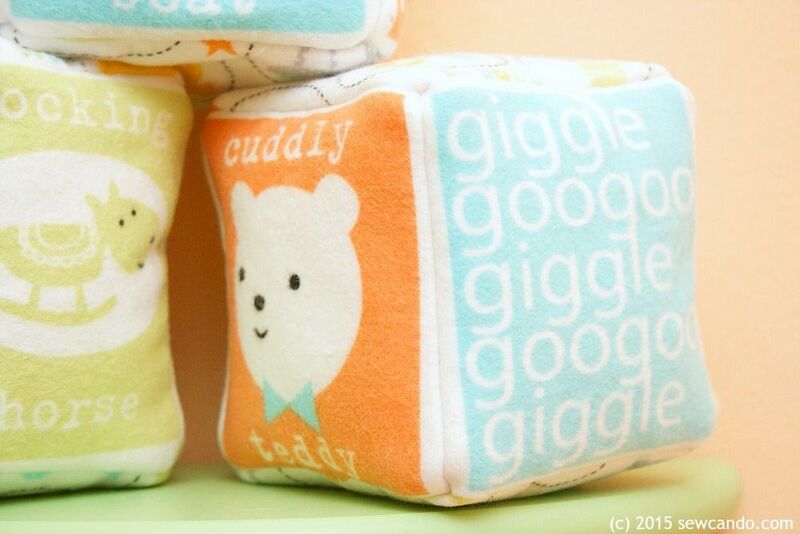 Want to make an easy baby gift? 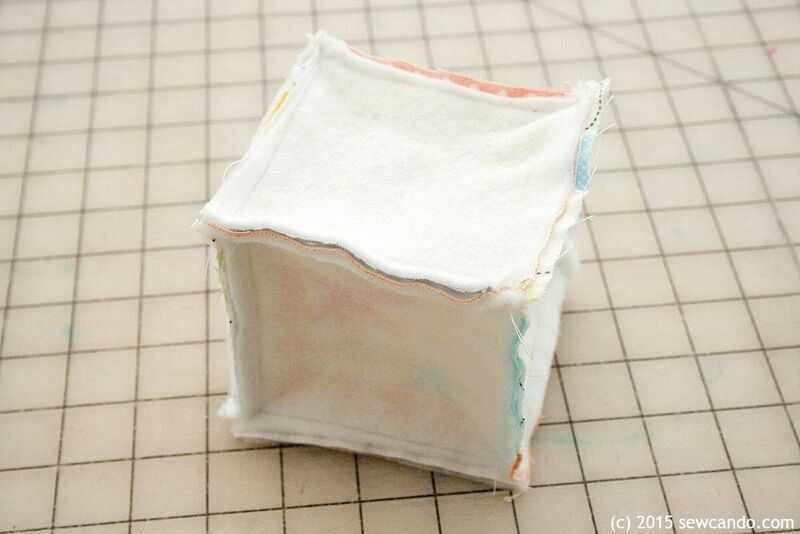 Let the fabric do half the work! 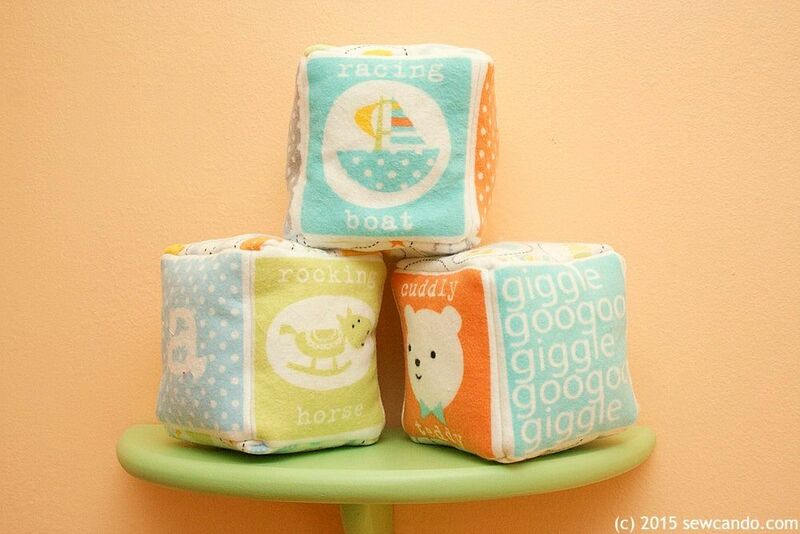 Use these sweet coordinating flannels featuring ready-to-cut squares to make these soft & sweet blocks. Ready to make some with me? 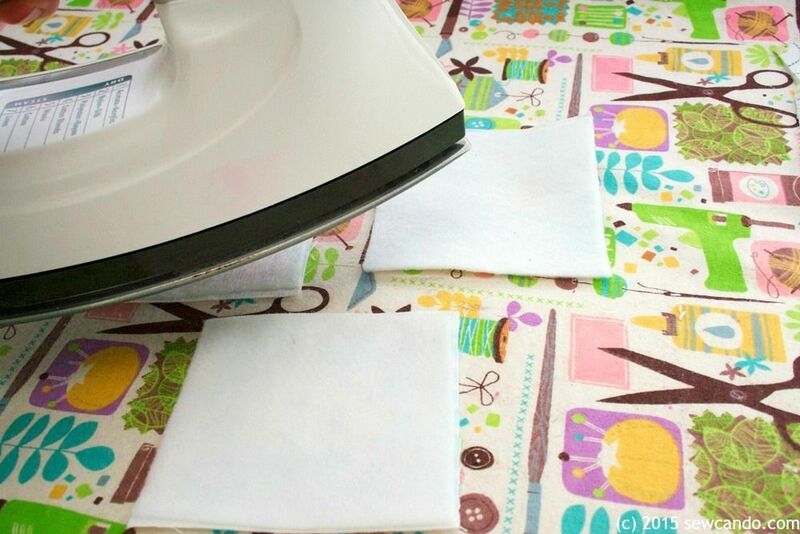 Next, fuse the wrong side of a square of fusible fleece to the wrong side of each fabric square using an iron and damp press cloth. 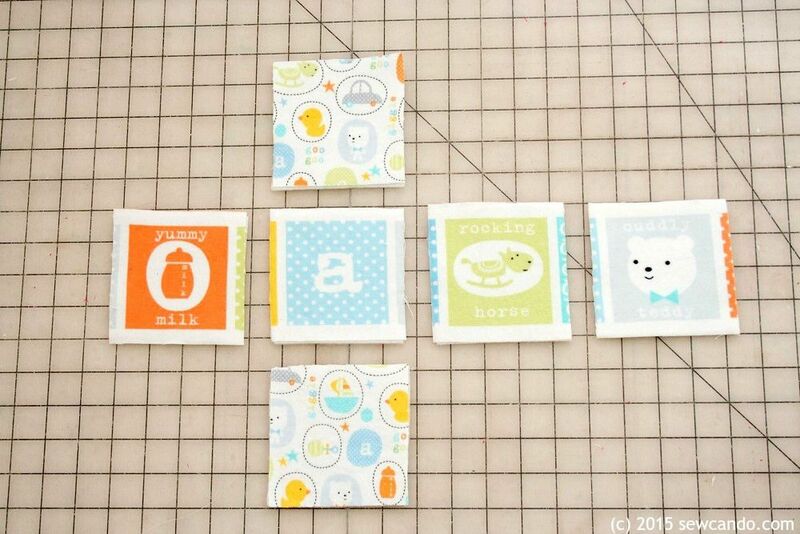 By using fusible fleece interfacing these blocks will hold a firmer shape and last longer than just using plain fabric (necessary since it’s meant for a busy baby!). 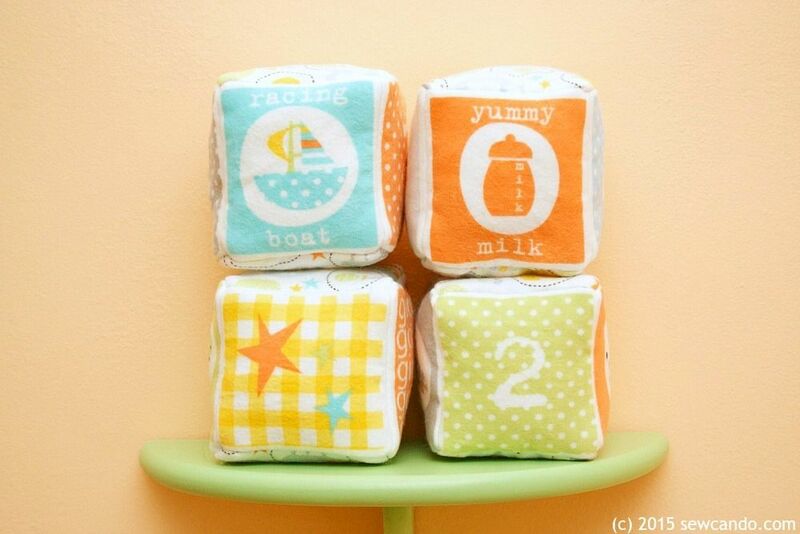 Arrange the blocks in the desired order so the alphabet blocks colors and prints alternate. I also made sure that the print was on the top and bottom. 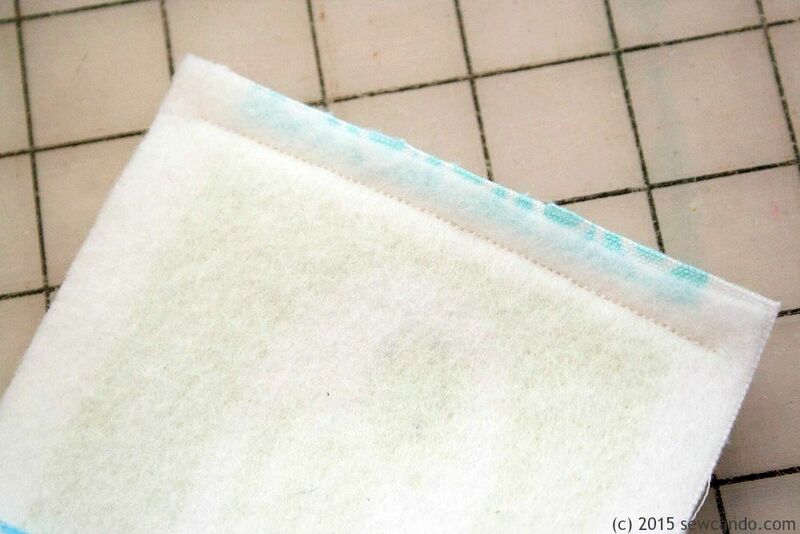 Then, starting at one end of the horizontal part of the “+” shape, and with right sides facing, sew together two block sides with a 1/4 inch seam allowance, starting and stopping 1/4 inch from the edge (this will make it easier to make the corners pointed later). Next sew on the top and bottom. The block should look like this when ready to turn. 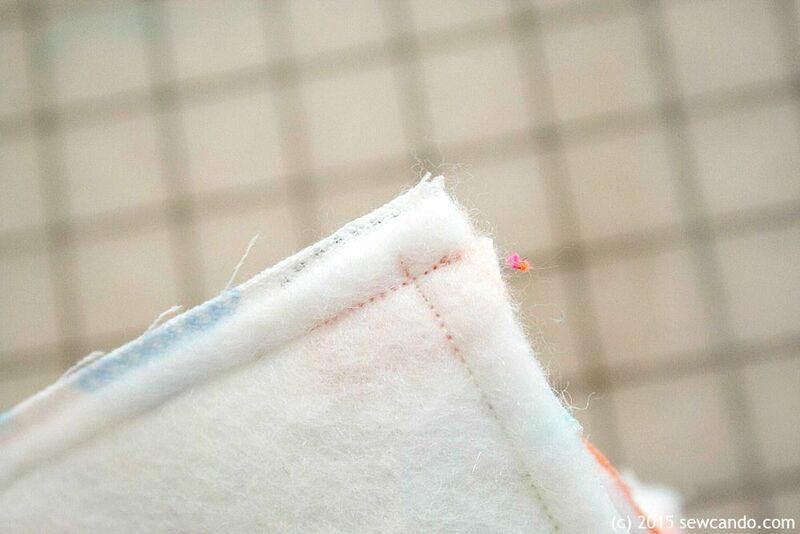 Clip each corner as shown and turn right side out through the gap, using a knitting needle or pencil to gently poke out the block’s corners. Stuff with fiberfill until nice and full. Hand stitch the opening closed with a slipstitch. And get ready to share the love with baby!